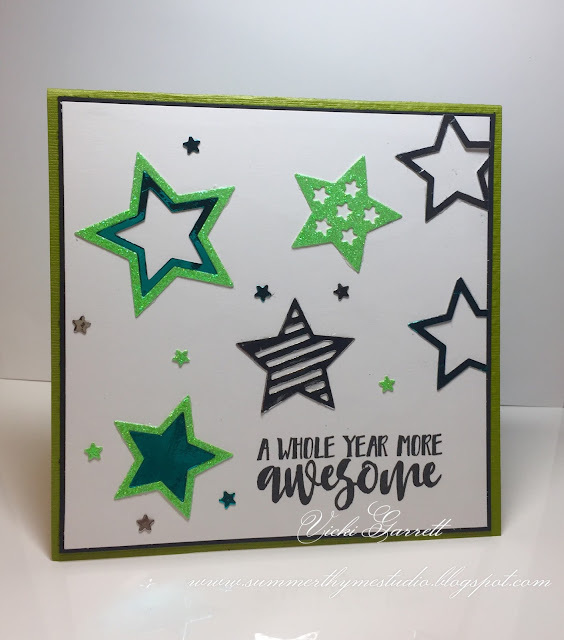 I used the Stars Dies cutting multiple sets in festive colours to create this Birthday card for a dear dear friend! Hope that you'll enter the challenge. Each time a winner is chosen randomly for a $25.00 gift certificate! That would could be YOU!!!!! 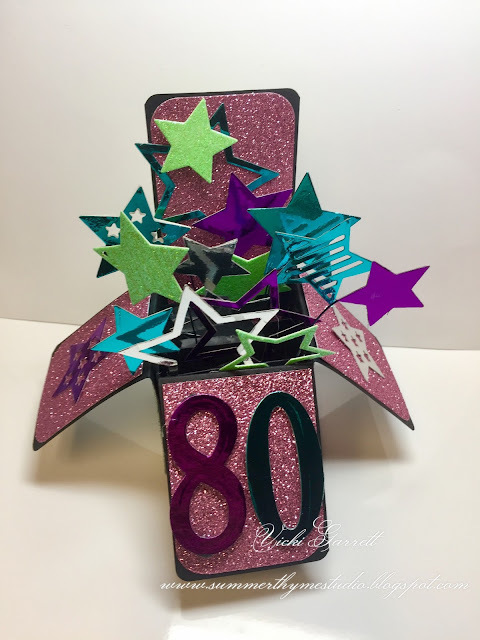 I wanted to share a small home decor project I made with a couple of the Technique Junkies June release stamps. 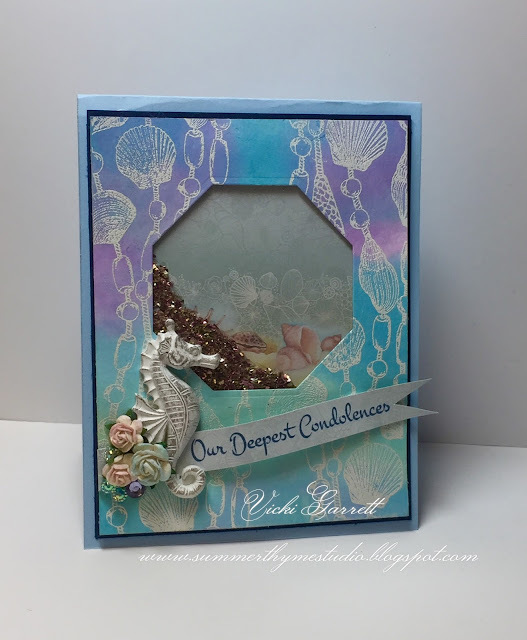 If you've followed my blog for some time, you'll know I LOVE anything that speaks of the Ocean. I made this little wall hanging for my Sea themed Bedroom. 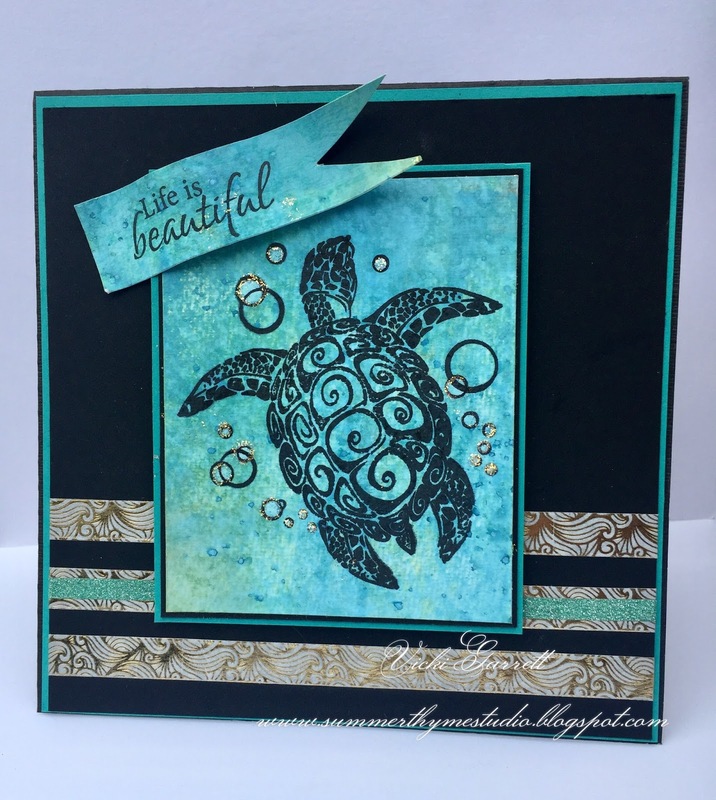 I stamped the Swirl Turtle in Iced Spruce Distress Oxide Ink and the sentiment in Early Espresso ink. I adhered the designer paper to the canvas with some strong adhesive. Lastly, I used some of that hempy looking thing a ma jig stuff in the bottom corner (yep, I don't know the name lol) to mount my shells and embellishments on. A quick and fun Decoration!!!! 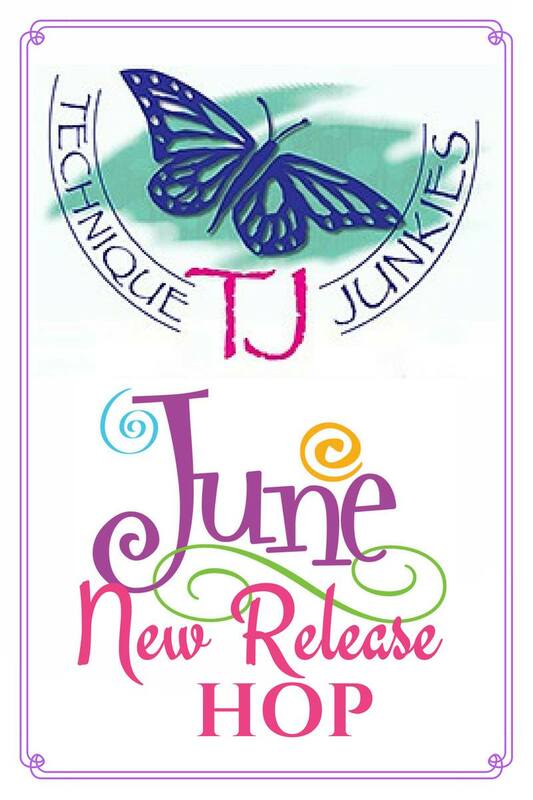 Welcome to the TJ June New Release Hop! 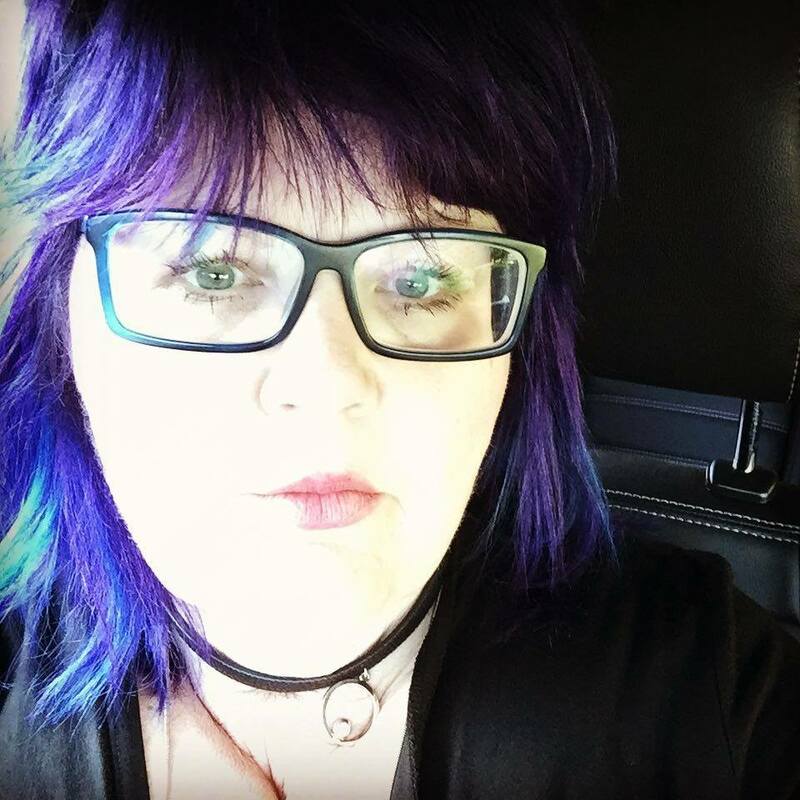 I have a few shares for you from this fabulous release. 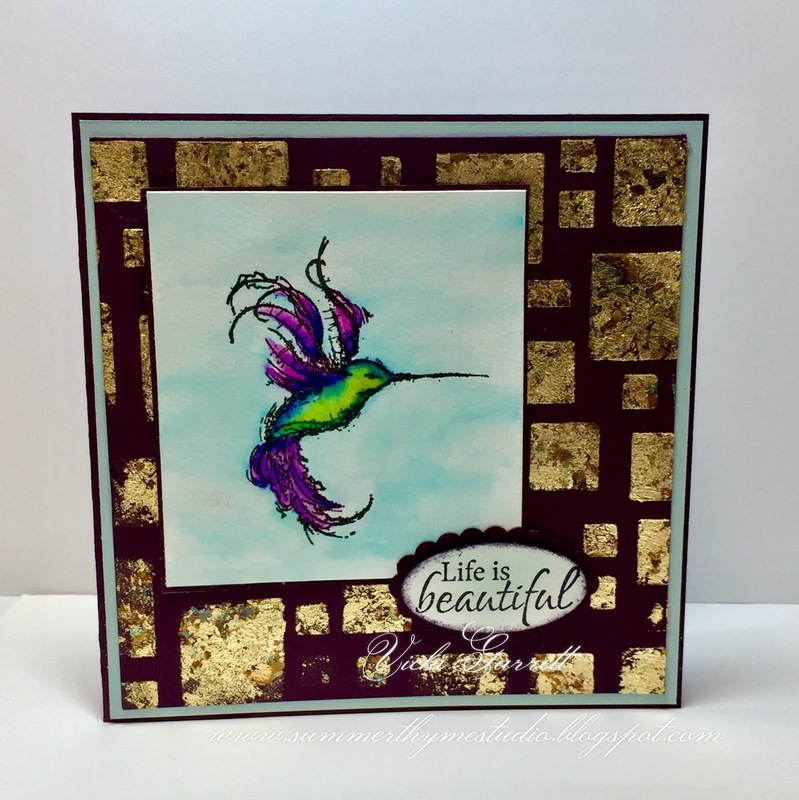 How sweet is this Hummingbird image? Wayyyy sweet! I coloured it with my Zig Clean Brush Markers. I just love the vibrancy! To make the background I used this awesome City Windows Stencil by a colorful life. I layed the stencil on my background cardstock. Using a foam brush, I dabbed white glue through. 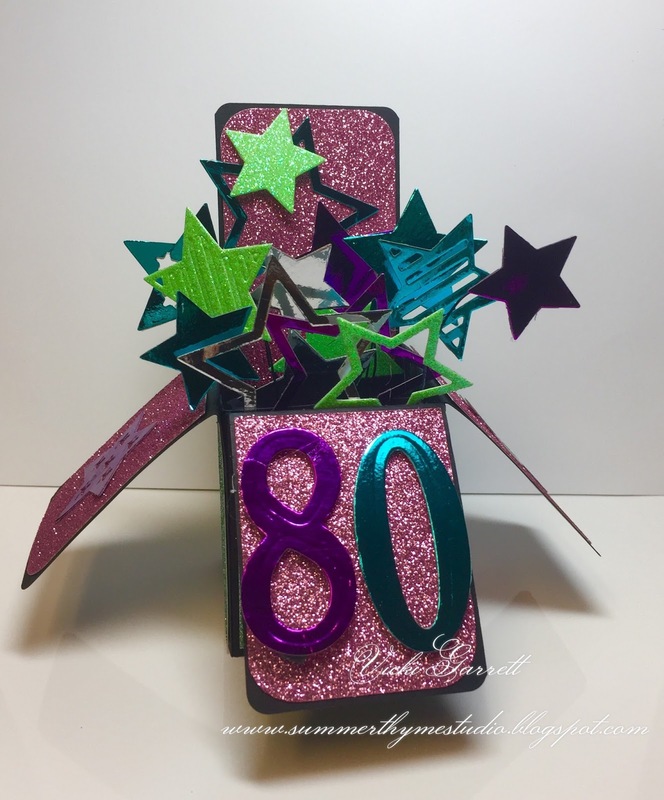 I let it sit a few minutes to tack up, then I used Creative Expressions Gilding FLakes. The Photograph really doesn't do it much justice. In real life it's super sparkly! These are amazing to work with!!!! 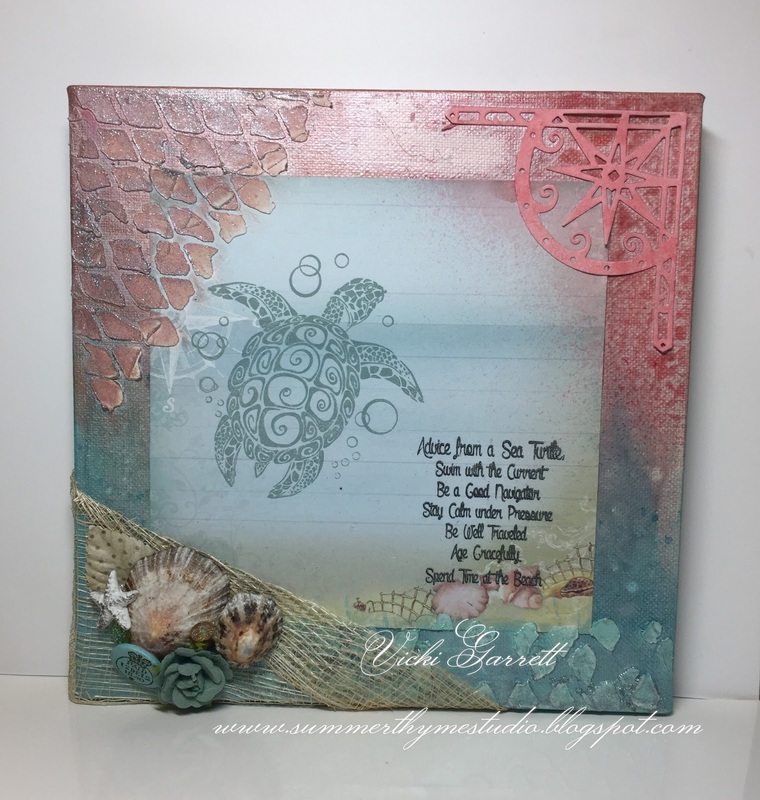 I stamped Buoy Shells in Versamark and embossed in white embossing powder. Finished up with some Prima Glass glitter. 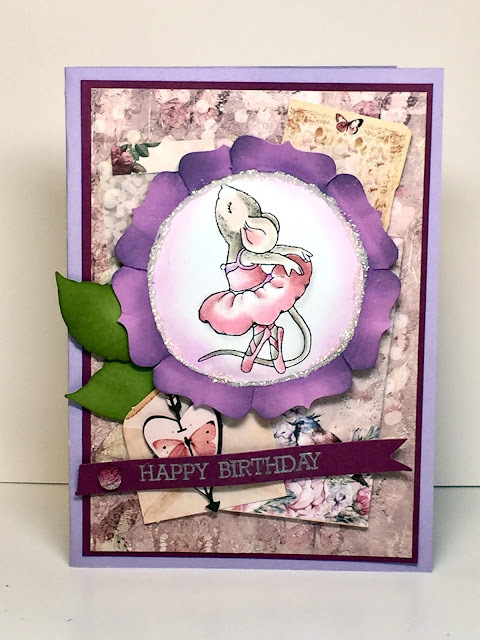 Enjoy the hop and don't forget that the New Release Stamps are discounted for a period of time!!!! Hope you've had a great week thus far! I used my Prism Pencils to colour this image. I like to use them when I want lots of colour but without quite as much saturation as when I used Copics. Want a chance to win some free Rubber?